abo@dr-rjp.com Who is Barack Hussein Obama? What do we really know about him? If you approach these questions in the context of hiding Obama's identity from the public, then you will see why there are parallels between how a Witness Protection Program works and how agents are prepared to operate undercover in hostile environments. Why are so many of his personal records either inaccessible or fabricated? The FBI designed WITSEC to protect people whose lives are in danger should their real identity be known. They replace that identity with a new one complete with falsified documents, like birth certificates, SSN's, driver's licenses, passports, marriage certificates and divorce agreements. They may even become a member of a surrogate family. 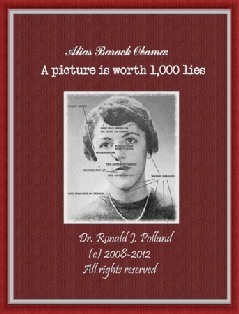 "A picture is worth 1,000 lies," is a unique e-Book (illustrated with over 100 photos) that teaches the reader to recognize suspicious-looking photos by the presence or absence of key visual features. Barack Obama's entire life history was crafted from false birth certificates, passports, selective service and social security records, school and college records, law records, and an album of forged family photos. 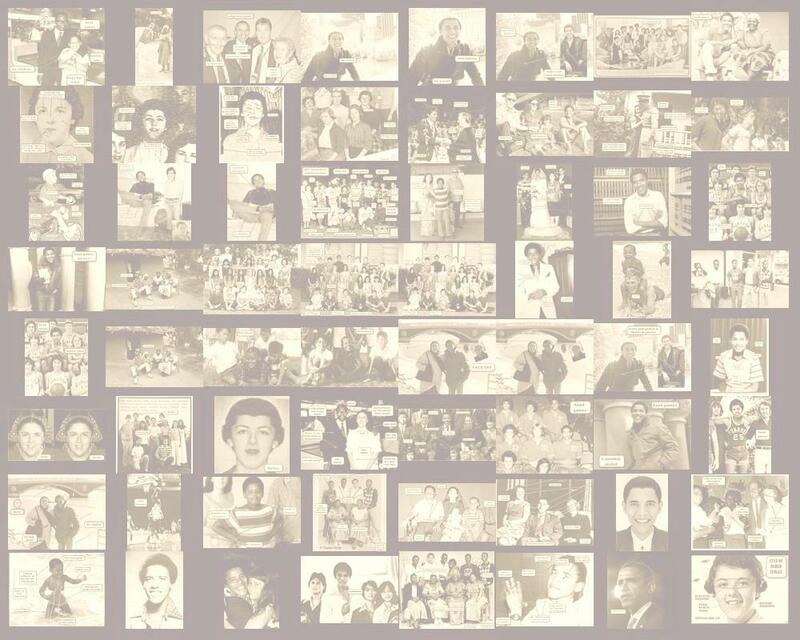 These forged photos are intended to concretize the fictitious events memorialized in “Dreams from My Father,”a book written by ex-Weather Underground leader and unrepentent domestic terrorist, Bill Ayers, with help of Barack Obama.